It’s been a long journey for Natnael and Mekdes. But today, with their three small children, they’ve finally made it to their new home in Christchurch. “Thank you,” Mekdes says through tears of happiness as she looks around the house. There's food in the cupboards, a back yard for her children to play in and a comfortable bed for her to rest her head. 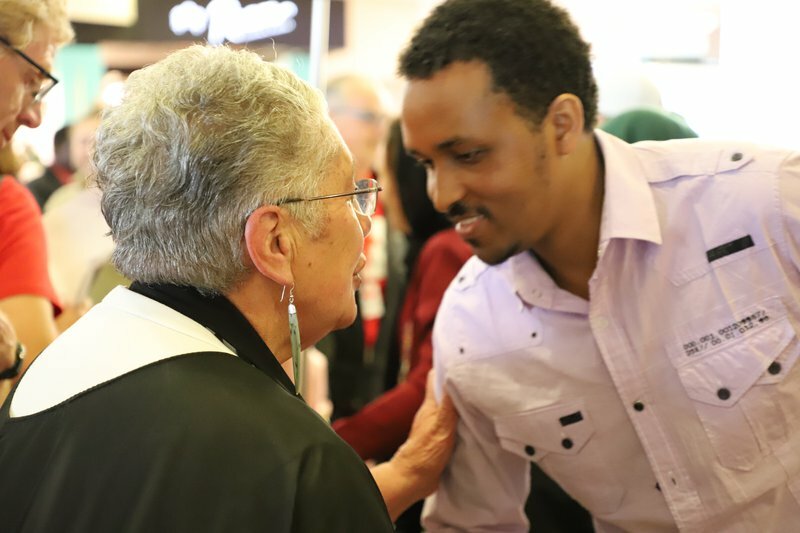 That morning, the family was greeted at the airport by a contingent of Red Cross staff and Refugee Support Volunteers, excited members of the small Eritrean community in Christchurch and a kaumatua performing a pōwhiri. Natnael sharing a hongi at Christchurch Airport. The family were introduced to their Refugee Support Volunteers Bob, Frances and Emma. Following a flurry of hugs and handshakes, they all headed back to Mekdes and Natnael's new home to help them get settled in. The family is among the first former refugees to arrive in Christchurch via the quota since the earthquakes. The city will now welcome about 20 former refugees every two months. Natnael and Mekdes do not want to go into much detail about why they fled their home in Eritrea some 15,000 kilometres away but say they have been refugees in Indonesia for about six years. In Christchurch, they will get a fresh start. It’s been almost a week, and some of the new arrivals have gathered at Natnael and Mekdes’ home to catch up over a coffee ceremony known as bunna maflat. Before arriving in Christchurch, the group spent six weeks together in the Mangere Refugee Resettlement Centre and they now feel like family. Today they are looking forward to the future together. 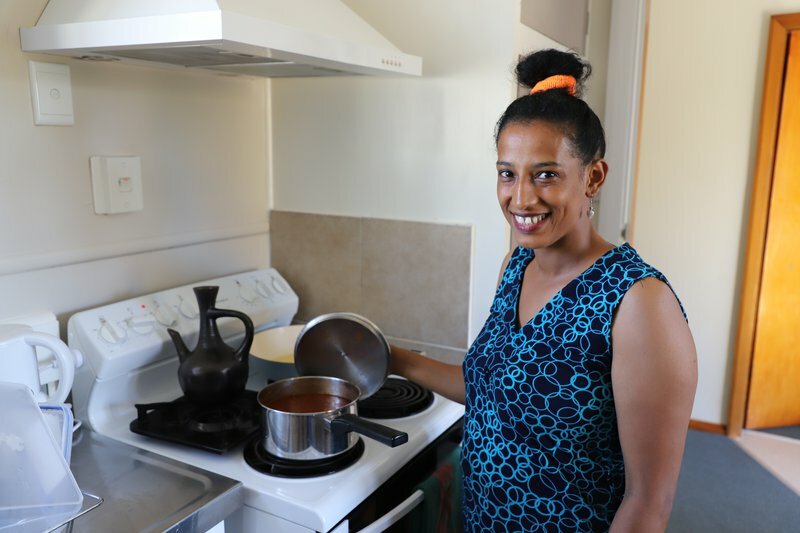 “I am so happy with what we have here in Christchurch,” Natnael says with a smile. “Everything is going so well. It feels so good to be settled." Mekdes cooking in her new kitchen. They have been overwhelmed by the support from Bob, Frances and Emma, Natnael says. Natnael is hoping to become a mechanical engineer and has already done a year of study in the field. His goal is to ensure a bright future for his children. 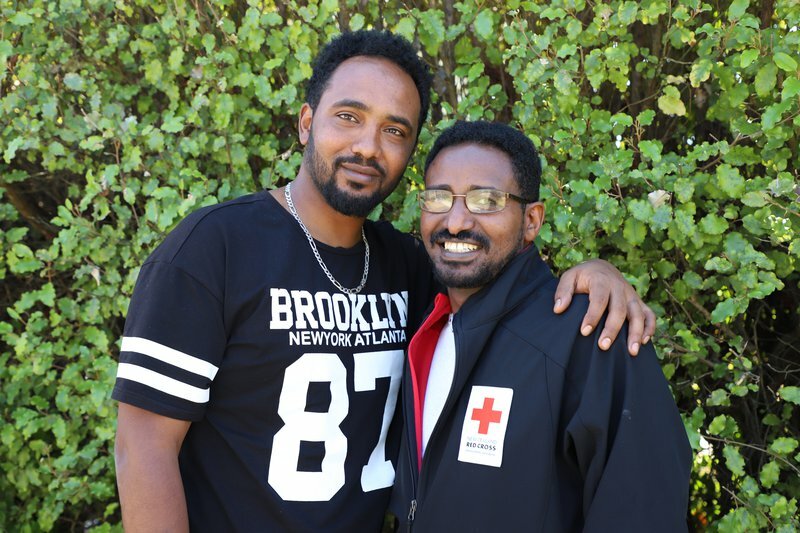 Yared and Red Cross Settlement Lead, Aklilu. 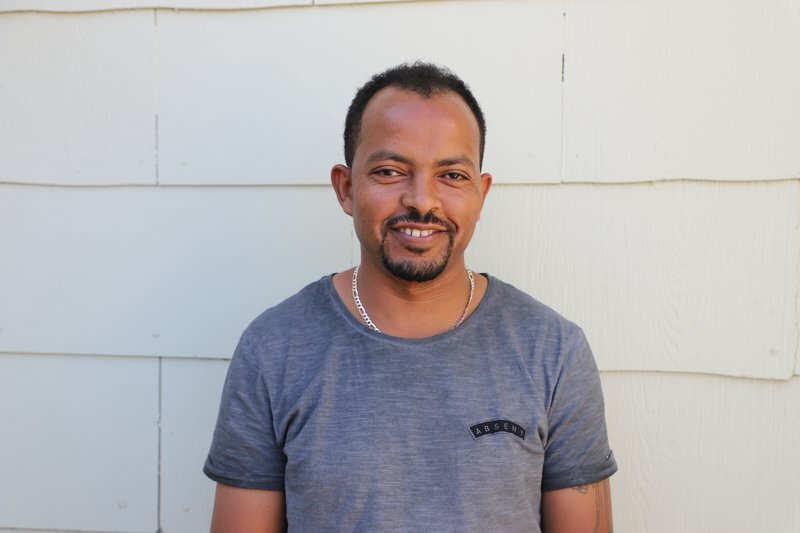 Yared, who arrived in New Zealand on his own after spending time as a refugee in Ethiopia, is round at Mekdes and Natnael’s for coffee. He’s already forged a special relationship with his Refugee Support Volunteers. “I call my volunteers Father and Mother!” Yared laughs. “I feel like they are part of my family. Yared admits he didn’t know much about New Zealand before he arrived – “only sheep and rugby.” Now he’s here, he wants to make the most of his new life. Esayas, a former refugee from Eritrea. Esayas, who also came on his own from Eritrea via Ethiopia, is happy to already have close friends in the city. He’s also started making plans. “I need to improve my English. While doing this, I want to do some professional training such as in construction or some vocational training, so that I can work,” he says. “I’m just really looking towards the future." Find out more about refugee settlement in New Zealand.